Argentina has approved a proposal from Chinese Petrol Company JHP and state-owned Jujuy Mining and Energy (JEMSE) to carry out an environmental impact study on an oil-drilling project in Calilegua National Park. The park, located in the northern province of Jujuy, is one of the most bio-diverse environments in Argentina. Argentina has approved a proposal from Chinese Petrol Company JHP and state-owned Jujuy Mining and Energy (JEMSE) to carry out an environmental impact study on an oil-drilling project in Calilegua National Park. The park, located in the northern province of Jujuy, is one of the most bio-diverse environments in Argentina. It was created in 1979 to preserve 76,306 hectares of unique mountain cloud forest also known as Yungus, and for its environmental importance as a corridor linking the tropical yungus to the low land Chaco. Traditionally indigenous territory – today a number of Kolla and Guarani communities continue to live on the borders of the park. However, when the area was declared a National Park and protected area a major issue was left unresolved. Oil wells existed in the park, dating back to 1969. Despite the fact that both the National Parks Act of Argentina and the Hydrocarbon Legislation explicitly prohibit oil extraction in protected areas, this was conveniently ignored. No policies were put in place regarding the closure and cessation of all oil extraction activities. In 1992, a small number of oil wells that had been abandoned in the 1970s were reopened and oil extraction began once again with little resistance from the executives of Argentina National Park Authority (PNA). Nevertheless, since then a group of park wardens have been monitoring the impact of the oil extraction activities. They have documented evidence of high levels of pollution from chemicals such as chromium, chloride, cadmium and lead in two local streams that run through the park and represent the main water supply for rural communities in Yuyo and Rio San Francisco. There is also evidence of contamination of subterranean water – the main water supply for an indigenous community called Caimancito. 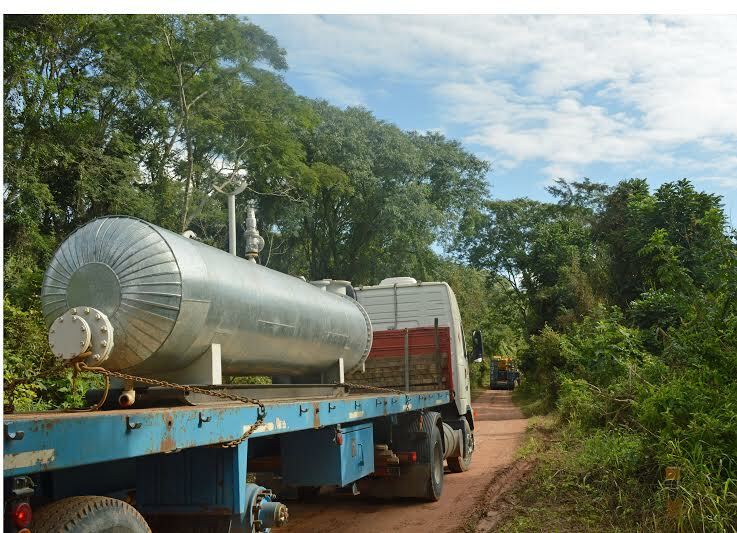 The announcement of the possible expansion of this oil enterprise through a new concession to Chinese Oil Company JHP and JEMSE came as a shock to this group who have decided it is time for the issue to finally be resolved. The proposed location for the expansion and proposed creation of between 3 and 5 new oil wells would involve residue being injected into a stream which is the main water source for a number of indigenous communities located on the border of the park who, along with the wardens, are beginning to organize and build resistance to the project. Given that little public information has been made available regarding the proposed expansion, indigenous leaders, park wardens in partnership with local NGO the Pastoral Ministry for Indigenous Peoples (ENDEPA)and a South American Chaco Small Projects Fund, are organizing meetings with affected communities so that they are aware of the project and the possible affect it will have on their water supply in particular. A general assembly of all communities will be held later this month in which they will decide on a course of action – including possible legal action based on Argentine environmental law, as well as international law including ILO Convention 169 which requires indigenous people be consulted on issues that affect them. Fionuala Cregan is based in Argentina and currently works for the Regional Latin America Office of Church World Service.